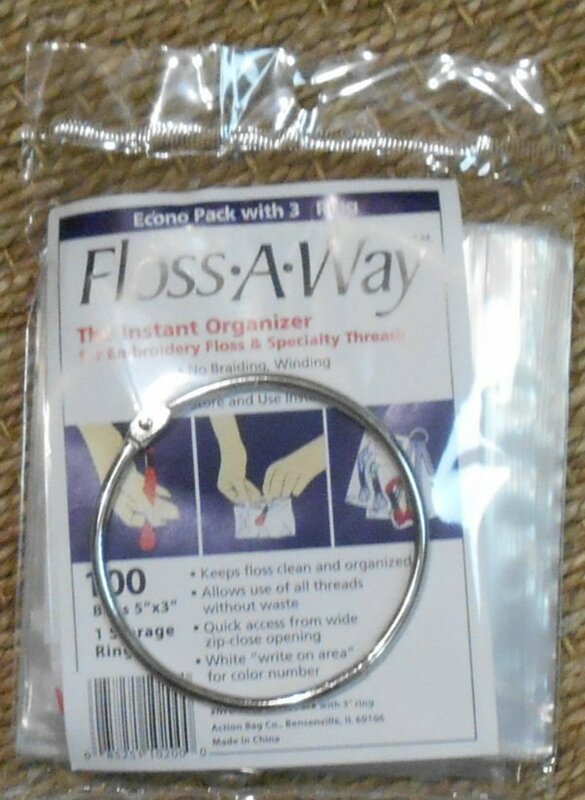 Set of 100 5" by 3" zippered plastic floss away thread storage bags plus large ring. Conveniently store your threads, organize by color or type. When it's time to work on a project, add the already bagged threads to your project ring.